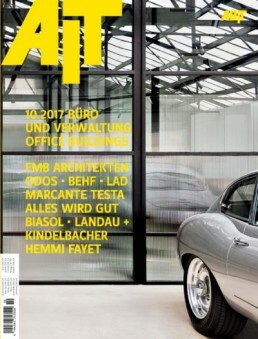 AIT is a German magazine dedicated to architecture, interior design and technology solutions. The magazine published ten times a year in German and is published in conjunction with the Society for Knowledge Transfer in Architecture and Civil Engineering Ltd. The subject matter of the AIT is varied from furniture design to home architectural design to building renovations. We are excited to have made it to the Office Buildings feature in Issue 10.